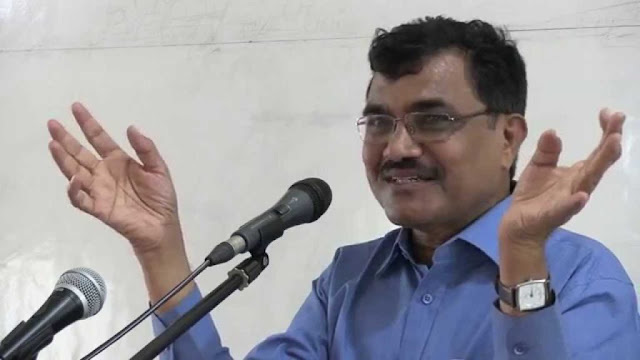 Professor Anand Teltumbde, an Indian Institute of Management (IIM)-Ahmedabad alumnus, Indian Institute of Technology (IIT) Professor, Executive Director of Bharat Petroleum Corporation Limited (BPCL), ex-MD & CEO of Petronet India, Senior Professor and Chair, Big Data Analytics in Goa Institute of Management (GIM), author of 26 books, columnist in the “Economic and Political Weekly” (EPW), writer of innumerable articles, a noted scholar of caste-class and public policy issues, leading public intellectual and democratic and educational rights activist faces imminent threat of arrest as an ‘Urban Maoist’ in the vilest post-independence plot by the state. The criminal farce of exploiting an important day of commemoration for the Dalits, the anniversary of the battle that took place at Bhima-Koregaon in 1818 in which the Mahar soldiers played a leading role in defeating the Peshwa rulers, to incarcerate select human rights defenders, intellectuals and activists in peoples’ movements and curb dissent in the country is an unprecedented and blatant abuse of power. The police have claimed that there was a plot to carry out a “Rajiv Gandhi style” assassination of Prime Minister Narendra Modi! Fabrications such as this have allowed the police to apply the dreaded UAPA which leaves no defence for the arrested who can be incarcerated for years without evidence. It is a perfect vehicle for the police, acting at the behest of their political bosses, to claim knowledge of fabricated “crimes”. Under the circumstances, on January 14, 2019 the Supreme Court rejected Prof Teltumbde’s appeal for quashing the “false” FIR against him filed by the Pune Police, stating that the matter was under investigation and that he could seek pre-arrest bail from the competent court within four weeks. Coming from the poorest of poor family, Prof Teltumbde has passed through the best institutes in the country with scholastic achievements. It naturally propelled him to take cudgel for the disadvantaged people in the manner possible for his professional jobs. He is currently General Secretary of the Committee for Protection of Democratic Rights (CPDR) and Presidium Member of AIFRTE, a movement for people’s educational rights. There is not an iota of the “unlawful” either in his voluminous writings or his selfless activism. His entire academic career and corporate career of nearly four decades has been an example of integrity of the highest degree. In the country, when the due process of law itself is a punishment that the police use to the hilt, it is nothing short of capital punishment to a professional-intellectual-activist like Prof Teltumbde. People in the past have been kept in jail for averagely five years before they were acquitted of every charge. There is absolutely no accountability of anyone in our justice delivery system for this unlawful incarceration and destroying victims and their families. Prof Teltumbde expressed his anguish over this prospect that he would be kept away from his intellectual activities, from his students who are admitted in the Big Data Analytics course, the first of its kind he launched this year, and worried about the investment that GIM made. 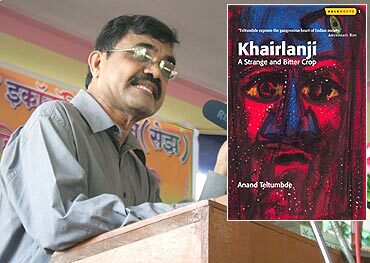 He is worried about his half-written manuscripts of books committed to various publishers, research papers at various stages of completion, and his family – wife, who, as the granddaughter of Babasaheb Ambedkar hardly bargained for this fate and daughters who are already disturbed not knowing whatever that has been happening to him since August last year. AIFRTE strongly condemns the threatened arrest of Prof Teltumbde and demands that the Maharashtra government should immediately drop all charges (including those under the Unlawful Activities [Protection] Act) against Prof Anand Teltumbde. AIFRTE also appeals to all its member organizations and to the university community across the country to immediately begin this process by approaching the national and regional media, issuing statements through social media and organizing protest meetings.